If you’ve ever turned on your local country radio station, you’ve doubtless heard a song about Texas...or more specifically, the Texas Hill Country. The imagery in these songs has piqued the curiosity of just about everyone with a heart and imagination. In the spirit of these songs (and the land that inspired them), here are a few homes and tunes that truly capture the spirit of the Texas Hill Country. One of the best things about the Hill Country is the variety of homes...sometimes within just blocks of each other! Due to the high amount of custom homes, each neighborhood holds a unique look. This home is just over 4,500 square feet with four bedrooms and 3.5 bathrooms. Plus, it boasts over $175,000 worth of updates! While this home is for anybody, the kitchen should greatly appeal to those who love cooking and want fantastic appliances and lots of space to work. It reminds us of the song “Come On In My Kitchen” by Eric Clapton when he sings, “You better come on in my kitchen, it’s going to be raining outdoors,” because the kitchen is the place to be. The interior showcases iron ceiling work, a dry bar area with wine fridge, a great room with fireplace and plenty of natural light coming in from the windows. The backyard features a gorgeous new pool and spa complete with water features and gazebo. This is the home for the entertainers who want to feed their guests and let them relax outside. 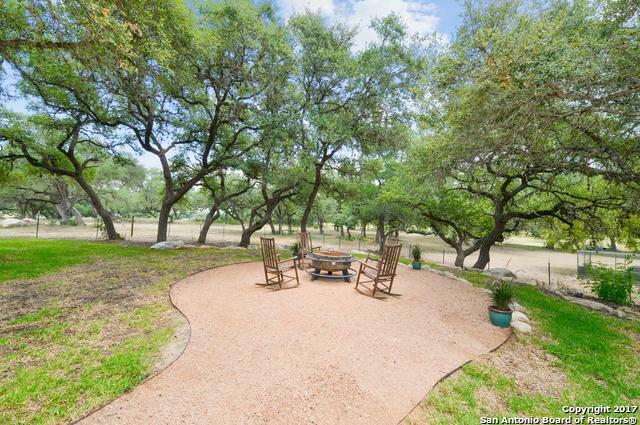 Sitting on a quiet cul-de-sac in the Hill Country is this beautiful home on Mountain Forest. Everything on the inside of this house makes us feel comfortable and welcomed. From the open floor plan to the kitchen with the island and breakfast bar, this seems like a home for the light-hearted who want to have company over often. The back patio is large and provides stunning Hill Country views, which brings us back to Tracy Byrd’s song “I’m From the Country.” He sings, “Way back up in the country, back in the hills, down in the hollows where the folks are real…that’s where I’m from, and I’m proud to say, I’m from the country, and I like it that way.” This 4-bed/2-bath home sits on over an acre, which is plenty of space for kids to run around in their backyard and explore all that Hill Country nature.